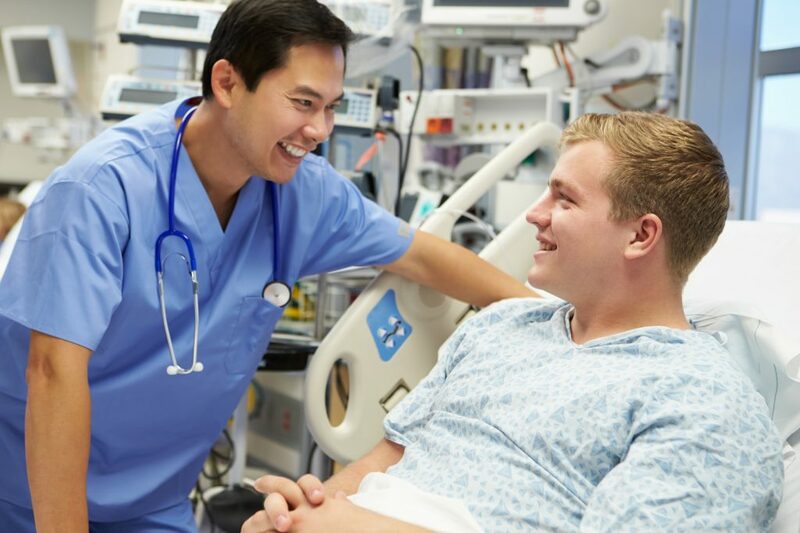 If you are considering a career in nursing, you may or may not be aware of the large amount of specialties available to you once you become a Registered Nurse. You may have heard of the more obvious of the specialties, such as Emergency Nursing, Pediatric Nursing, Obstetrical Nursing, and others that you may have come into contact with while tending to your own healthcare needs, but there are quite a few that you may not already be aware of. We’ve highlighted six of the more unique specialties out there for your consideration. Case Management Nurses are responsible for coordinating long-term care for their patients, and often work with specific groups of patients, such as patients who have cancer or mental health and/or substance abuse issues, have acquired injuries through accidents, or are in the pediatrics or geriatrics age brackets. Case Management Nurses work to ensure their patients receive the best possible care in the most cost-effective way. Case Management Nursing, and nursing as a whole, is expected to see job growth well above the national average in the coming years, according to the U.S. Bureau of Labor Statistics. Informatics Nursing marries traditional nursing with information and communication technologies in healthcare services delivery, management, and planning, to improve the health of people and communities worldwide. Nurse Informatics Specialists usually work in the IT department of hospitals, clinics, doctor’s offices, or other healthcare facilities. Due to the rapidly evolving landscape of technology’s use in healthcare, it is expected that nearly as many as 70,000 Informatics Nurses may be needed in the next five years. A Flight Nurse is a registered nurse who specializes in providing care—often critical—to patients aboard a variety of aircraft, for a diverse number of reasons, including emergency medical evacuation or transport between medical facilities. Flight Nurses are either civilians, working for hospitals or disaster response organizations, or military personnel. Although annual income varies across different states, Flight Nurses usually receive a yearly salary ranging between $66,000 and $78,000, which is relatively high compared to nursing generalists. Forensic Nursing is a relatively new specialty, which combines medical care with the investigation of crimes and the legal aspects of a patient’s history. Forensic Nurses may work in medical facilities, directly addressing injuries acquired as the result of criminal activity, including sexual or physical assault, or as consultants to law enforcement or legal professionals in cases where medical knowledge is required. The U.S. Bureau of Labor Statistics predicts that Forensic Nursing will see a 26% growth rate within the next ten years, which is staggering compared to the 9% growth rate of most other professions. Holistic Nurses operate on the premise that you cannot treat a patient’s physical health without addressing the patient as a “whole person,” which includes tending to their physical, mental, spiritual, and emotional wellbeing in concert. They often use alternative medicine practices, sometimes combined with traditional Western Medicine, and focus on promoting wellbeing and preventing illness, rather than just treating ailments as they surface. Holistic Nursing is a highly specialized niche that has recently seen, and is expected to continue seeing, a growth in demand. HIV/AIDS Nurses work with patients infected with HIV/AIDS, an incurable virus that attacks the body’s immune system, and can, over time, lead to death. These nurses work on the front lines of fighting HIV/AIDS by directly providing care in hospitals or outpatient clinics to patients infected with HIV/AIDS, as well as in community or public health, working to educate at risk groups on how to prevent the transmission of HIV/AIDS. Though not as popular as other nursing specialties, HIV/AIDS Nursing shows a predicted growth of 19% by 2022, according to the U.S. Bureau of Labor Statistics, which is faster than the average growth compared to other jobs across the country.